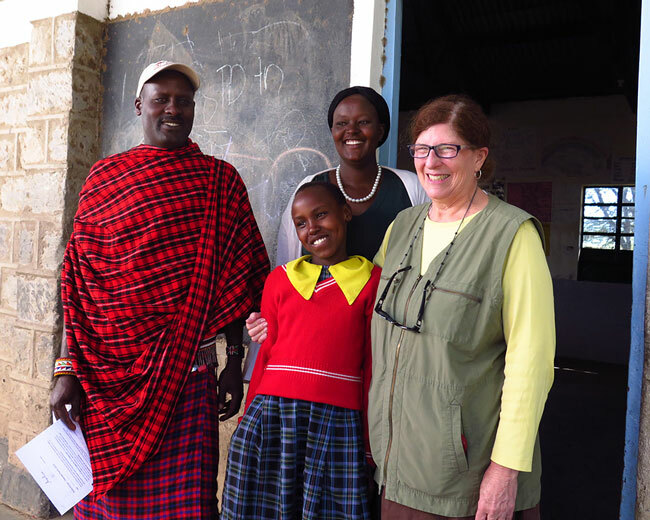 Returning to Kenya was the way my husband Scott and I chose to celebrate our 70th birthdays. Our first visit to Kenya was the final impetus for me to formally create Pack for a Purpose 11 years ago. At last we had the opportunity to once again take supplies and support the amazing work being done by several of our participants in Kenya. 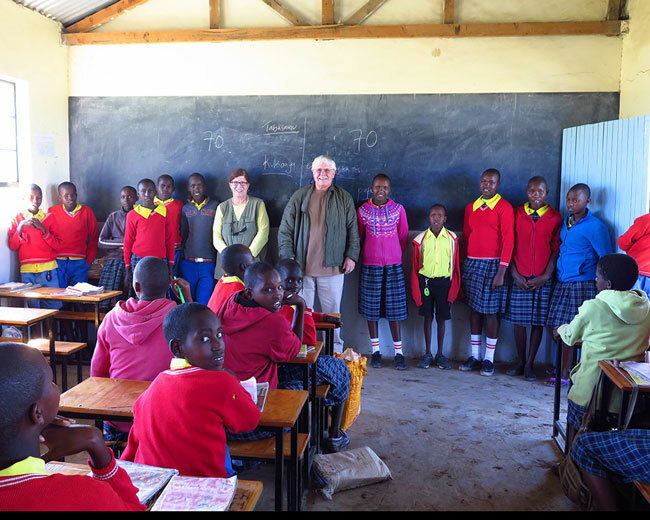 Barbara contacted Pack for a Purpose as she had recently returned from Kenya and wanted to make a donation to the schools supported by Saruni properties. When I told her that is where we were staying on our trip, she sent me her contribution to purchase school supplies to take with us to the school. 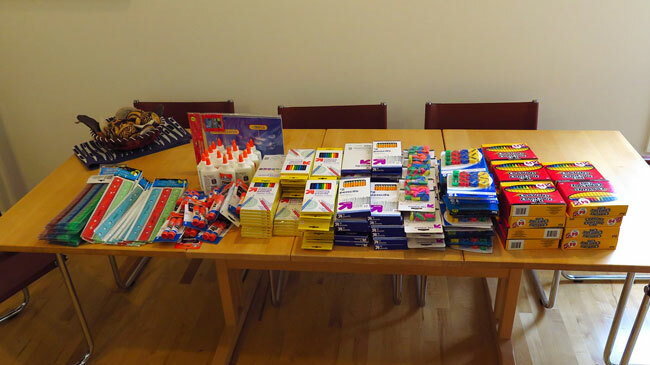 In addition, another generous woman, Kelly, gave us a large donation to also use for school supplies to take to Saruni properties and Safarilink. I also want to thank friends and my longstanding Lunch Bunch group for providing additional donations to purchase supplies. 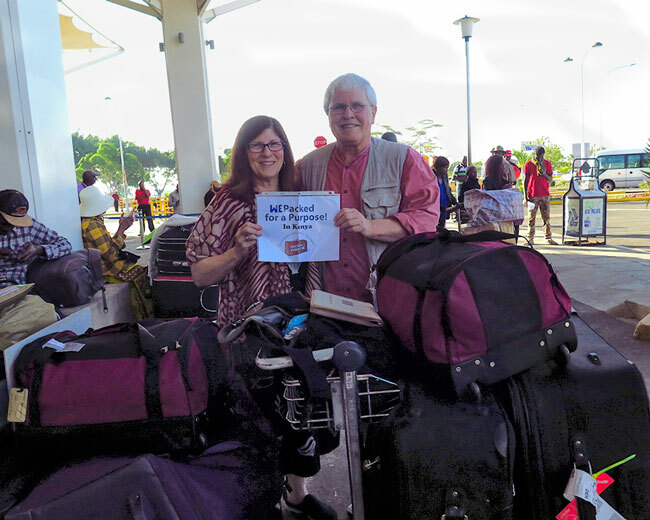 When we travel to countries where we can Pack for a Purpose, we always stay with our participants. We want to give our business to companies that we know make it their business to support the communities where they operate. For this trip, we were using Safarilink (the only airline on our website) for our internal flights and staying at all three Saruni properties and at Mara Bushtops. While we take all our checked luggage full of supplies, this is certainly not what we suggest on our website. Five pounds (2.27 kilos) of requested supplies can make a Big Impact. We had been in communication for some time with Terryann, who works with the Marketing and Communication for Safarilink. We were absolutely delighted to finally meet her at Wilson Airport and deliver the supplies for the project they support. It is always a pleasure to meet the dedicated people who support the community projects listed on our website and confirm their commitment to their community. 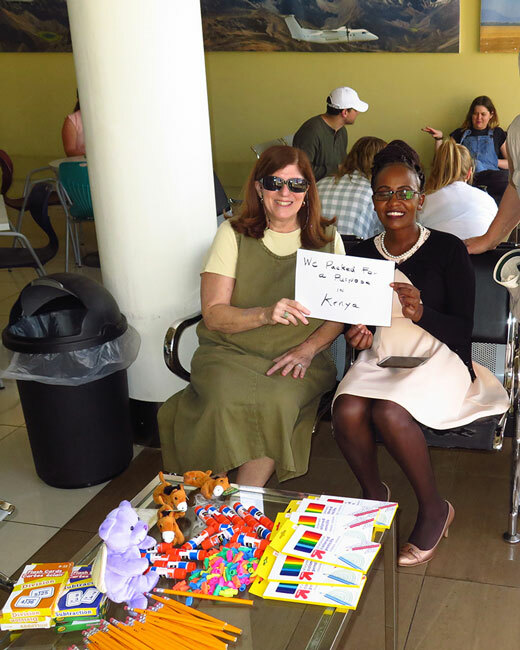 Delivering the supplies at the airport was a wonderful way to start our journey around Kenya. The supplies for the project supported by Saruni, 2 suitcases full, were delivered to their office in Karen, a suburb of Nairobi. It is quite some distance from Karen to any one of the camps and we understood, as all travelers must, that unless you are personally taking the supplies to the camp itself, they may not arrive during your visit. Logistics is always an issue everywhere, however, Pack for a Purpose supplies will be delivered and make a Big Impact when they arrive. 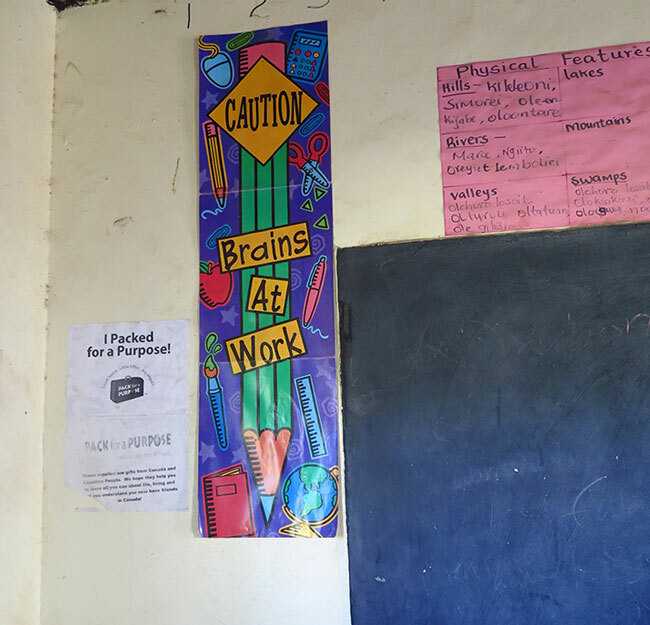 We were fortunate that the supplies did arrive in time for us to deliver them to Ngosuani Primary School, one of the two schools supported by Saruni Mara. This happened due to the wonderful email communication and organizational skills of Fatima, and the Saruni Reservations team. Fatima was quick to respond to every email and her replies were always helpful. When we delivered the supplies in Nairobi the team carefully repacked them so they could be delivered to the camp and then the school. 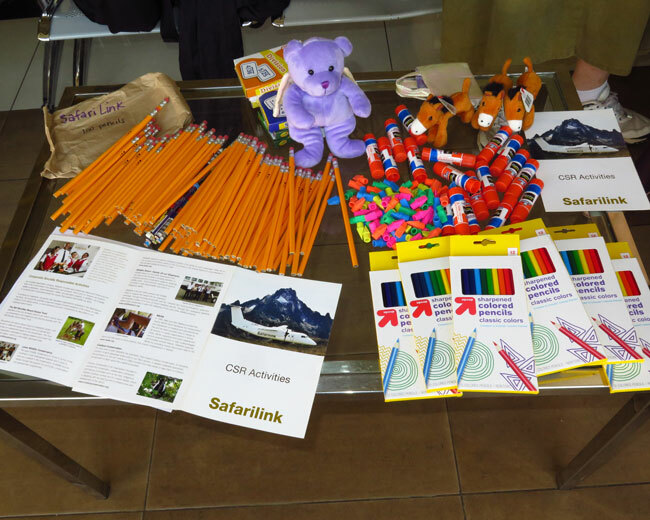 The staff at Saruni Mara opened and recounted all the supplies just to make sure nothing was lost. Everything had arrived in perfect condition. On our arrival we were given a tour of the school by the head teacher. We were taken to the library where all the supplies are stored and spoke with the person in charge of both the library and the distribution of the supplies to the teachers. We then toured some of the classrooms. It was truly a surprise and extremely heartwarming to see that every classroom had our logo posted on the wall. In one classroom, Scott and I answered questions and we had an impromptu math demonstration of how many students it would take to equal the 140 combined years that Scott and I have lived. We divided it up to 70 on each side, and while the students ages didn’t equal 70 exactly, they were close enough. In another classroom, we had the special pleasure of meeting our guide’s daughter who we understand is at the top of her class. In addition to the school supplies that we took, we had a very special delivery to make. 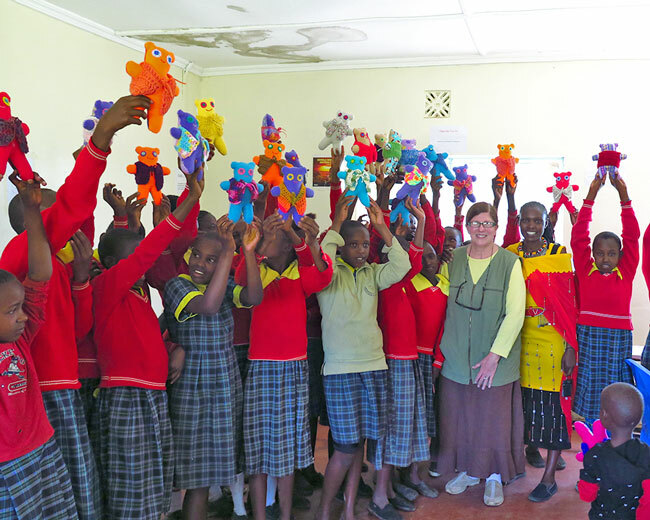 Dollies Making a Difference, a non-profit in the USA, sent 85 Teddy Bears to me in Raleigh, each one of them lovingly crafted by hand by their volunteers for 85 young girls at the school. 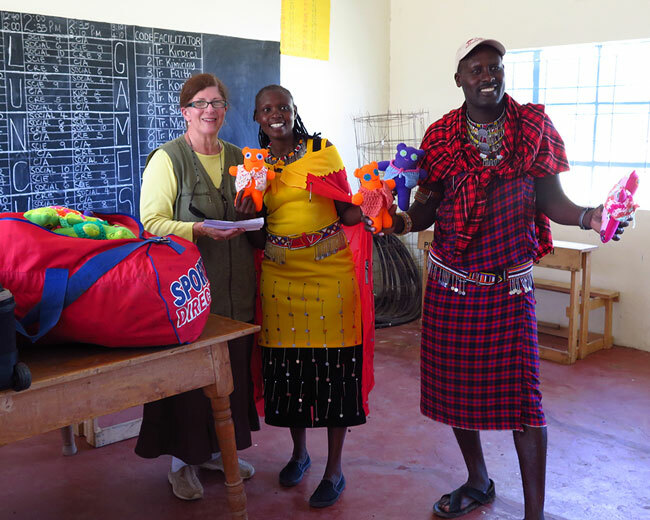 After meeting with the headmaster of the school and delivering the school supplies, we then headed to a large room where the Saruni Mara manager, Cecilia, our guide Lemeria, and my husband and I gave out the teddy bears. It was a joyful occasion and I want to send our sincerest appreciation and gratitude to the volunteers of Dollies Making a Difference and their founder Cindy for making this happen. The owner of the Saruni Camps, Riccardo Orizio, has a longstanding and deep commitment to the communities where they operate and the staff at their properties. The shops on Saruni’s properties are stocked with many items handmade by women in the community.. We easily managed to find several beautiful pieces to bring back as gifts for friends and as memories for ourselves. Saruni is also one of the founding members of the Mara North Conservancy and works closely with the Northern Rangelands Trust in the north of Kenya which Kalama Conservancy and Sera Conservancy form part of . In two weeks we continue with the rest of our story!